On Thursday, I visited 21 classrooms in 12 states, 6 time zones, 4 countries, and ALL the hemispheres. What was my involvement? Well, to do my part, I virtually visited (via skype) a score of classrooms across the world on Thursday – and one on Wednesday night in Kuala Lumpur (but it was Thursday morning for them). Some of the visits were with a single classroom. Others were with entire grades or even multiple grades congregating in libraries and media centers. I saw all grade levels from K through 5. 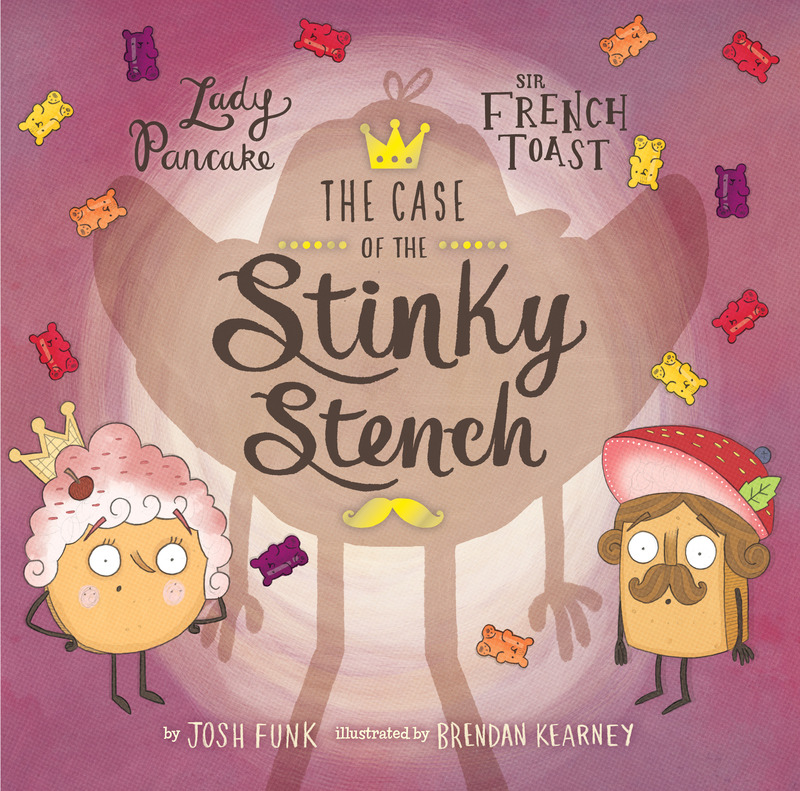 For each 15-20 minute visit, I read a sneak peek copy of THE CASE OF THE STINKY STENCH (the upcoming sequel to LADY PANCAKE & SIR FRENCH TOAST) – even though it’s not out until May 2nd. Then I took questions from the kids for the remaining time. And all the visits were completely free of charge. But 21 visits? How did I manage that? At the beginning of the school year, all-star author Kate Messner puts a call out to authors who are willing to skype with classes and then lists them for educators to find. We can call Kate the WRAD Matchmaker. Between Kate, Twitter, Facebook, the contact page on my website, and the network of my educator friends, my schedule filled up pretty quickly. It was a blast to share THE CASE OF THE STINKY STENCH, but the best part was interacting with the students. They asked so many amazing questions. I shared my writing and revision process, my favorite books (now and as a kid), how I come up with ideas, and more. These kids did some serious research and some even completed their own versions of my ‘fill-in-the-blank’ bio. And twice I was asked about my system for getting as much syrup on the bottom pancake as the top (I didn’t give away the secret, don’t worry). It was a totally fabulous day. The tech was virtually flawless (thanks, Skype Classroom). We may not have hoverboards, but Marty McFly would be proud. If you’re interested in learning more, definitely check out LitWorld.org and follow Kate Messner & Skype Classroom – and start getting ready for #WRAD18!